Real Madrid star Gareth Bale could follow Wayne Rooney’s lead and get a hair transplant, according to the Sun. Despite the Welshman being seen to have a glorious set of locks the report claims he has become frustrated with his thinning hair and could look to have surgery to fix the problem. Manchester United forward Rooney had a transplant back in 2011, while Crystal Palace midfielder Joe Ledley also had a similar procedure. Bale has reportedly spoken with Ledley regarding the issue, and a source told the Sun that Bale now has an appointment lined up. “Gareth’s been speaking to Joe, who has taken the plunge to book an appointment,” the source said. “He’s followed suit and has it lined up after his season finishes in May. “Both of them will be out the limelight for a while so it gives the hair plenty of time to settle in while the cameras aren’t watching them every week. The pair are booked in for appointments at KSL Hair, a company which can charge up to £10,000 for hair transplants. 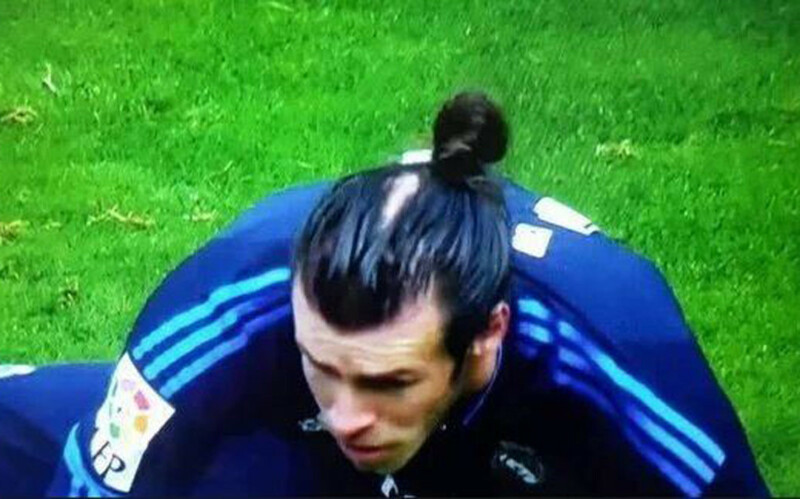 Pictures of Bale’s bald spot featured prominently on social media when it appeared during celebrations at Euro 2016, and it has resurfaced during his time playing for Real Madrid this season.